ANBALAYAM is located in Dindigul Tamil Nadu . ANBALAYAM is registered as a Trust at Dindigul of state Tamil Nadu with Ngo unique registration ID 'TN/2009/0017768' . 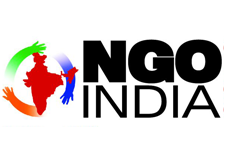 The NGO registration is done by Registrar of Societies with registration number 324/03 on the date of 09-10-2003, Its parent ORganaisation is PaulFoundation. The Chairman of ANBALAYAM is Raju and Chief functionary officer is Raju. We are pleased to introduce ourselves as one of the service oriented Public Charitable Trust doing activities around the Dindigul and Karur Districts. Through our experience, we came to understand that the unemployment problem seemed in elegant manner around our target area. The unemployed Youth in both gender, house wives and some enthusiastic people are very much interested in learning computer education atleast in basic level. Hence, we propose to provide computer training which fetch lot of job opportunities and knowledge to the people belonging to the poor and backward community.